London ranks first in GDP among UK top level territories, and is positioned at the 5×1 slot within the G8x8. In 2015, it achieved a GDP of 378.4 billion £ (507.1 billion $) and a share of 22.7 percent of the national total. Its GDP was slightly lower than that of Sweden. The Mayor of London, Sadiq Khan, has launched on 13 December 2017 his new Economic Development Strategy as a draft for consultation. This draft is open for discussion for three months until 13 March 2018. Sadiq Khan is “keen for London to remain the best place to do business, but wants to put more emphasis on the general wellbeing, health and happiness of Londoners”. He invites Londoners and other informed stakeholders to tell him what they think of his plans. Would you like to be involved in the development of new technology? What sectors do you think are most important to London’s economy and why? What do you think the risks are to London’s economy in the coming years? How can technology be used to make London a better city to live in? What do businesses need to thrive in London? What are the challenges they face? How do you feel about the idea of having a Good Work Standard in London? How able do you feel to achieve your career goals in London? London is one of the richest cities in the world, but also home to some of the poorest neighbourhoods in the country. The strategy sets out measures to address this fact. The Mayor has also challenged tech start-ups and medium-sized businesses to develop innovative solutions that address some of the big issues facing Londoners. These issues range from inequality to air quality and health challenges of an ageing population. Using funding from the London Economic Action Partnership (LEAP), 15 companies will be selected to receive business support. Up to three of them will receive £15,000 to further develop their ideas. He will set out the exact terms of this initiative, known as the Mayor’s Civic Innovation Challenge, next year. 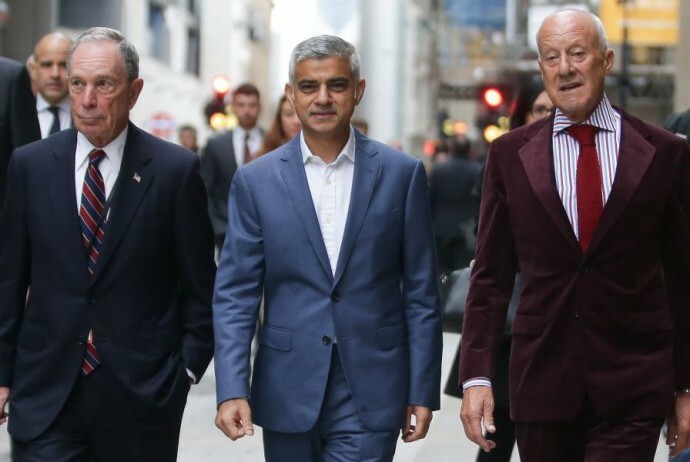 The overarching goal of the Mayor’s Economic Development Strategy is to boost competitiveness and create a business environment that is not only friendly – in terms of helping investment and growth – but also fair, where all companies play by the rules and where all Londoners stand to benefit. By channelling investment into key areas, equipping Londoners with the skills, education and training they need to participate in the modern economy, and by investing in infrastructure and offering targeted support to certain sectors – such as tech, life-sciences, and the capital’s creative industries – the Mayor believes he can deliver on this vision at the same time as helping London’s businesses go from strength-to-strength. Image source: City A. M.
One of the largest halls in Europe with 5,200 seats was opened on 22 November 2017. It is part of the Paris Convention Center which was inaugurated in the presence of Anne Hidalgo, Mayor of Paris. Valérie Pécresse, President of the Île-de-France Regional Council, and Michel Cadot, Prefect of Police for Paris also participated. Didier Kling, Chair of the Paris Île-de-France Regional Chamber of Commerce and Industry, Christophe Cuvillier, CEO & Chair of the Management Board of Unibail-Rodamco, Michel Dessolain CEO of Viparis and Jean Pistre, co-founder of the Valode & Pistre architectural firm highlighted the many advantages of this exceptional venue. The Centre is located within the Porte de Versailles exhibition complex, which is undergoing a ten-year renovation project (2015–2025). It is the result of an extraordinary architectural effort, and was designed to host the very biggest international conferences. With Europe’s largest conference center, Paris will stay at the forefront of the business tourism market and retain its position as the world’s top destination for international conferences. The Convention Centre can accommodate very large national and international events. It is fully modular and its many amenities – including exhibition halls, meeting and conference rooms, permanent and mobile food stands, an event space, green roof and vast car park – means that it can be adapted to every imaginable situation. The airy and light-filled interior offers a view of the city. The plenary hall is the largest in Europe, and its glass roof means that conferences can be held in natural light. Every conference room is furnished with smart and adaptive speakers that offer high-quality sound and create an ideal acoustic environment for visitors. The Atrium conference rooms feature connected furniture and the latest audiovisual equipment. “Paris Convention Centre will be a crown jewel in our efforts to boost the appeal of the region. The site has been renovated, reimagined and given a new identity to help the Greater Paris region at the top of the meetings and corporate events industry. This sector accounts for €5.5 billion in economic benefits for the region and more than €20 billion in turnover for exhibitors. 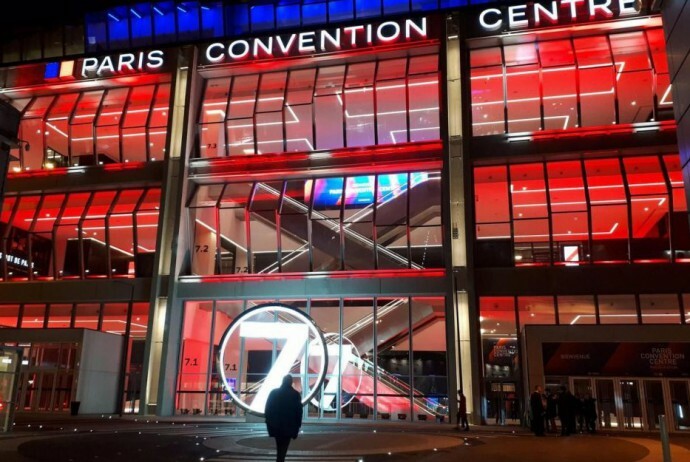 With no public financing, Porte de Versailles will become the epicenter of the city’s ambitions in the field of conferences and trade shows,” said Didier Kling, Chair of the Paris Île-de-France Regional Chamber of Commerce and Industry. Paris Île-de-France ranks first in GDP among top level territories of France, and is positioned at the 6×1 slot within the G8x8. 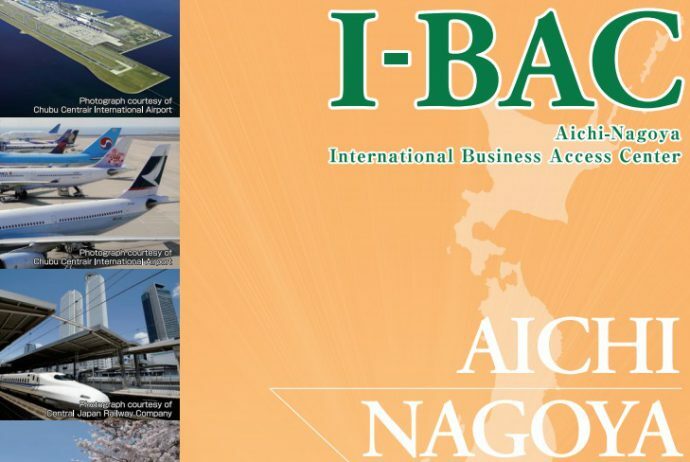 In 2014, it achieved a GDP of 649.6 billion EUR and a share of 30.4 percent of the national total. If compared with entire countries, the GDP of Paris Île-de-France ranks between Switzerland and the Netherlands. Karnataka had signed a Sister-State-Province agreement with the Provincial Government of Sichuan of the People’s Republic of China in May 2015, during the Forum of Leaders of the Regions of India and China in Beijing, and with participation of Indian Prime Minister Narendra Modi and Chinese Premier Li Keqiang. At the China-India Forum 2017, however, other provinces of China were also invited. Podar Enterprise signed a strategic cooperation MoU with Hebei Provincial Government. Podar Advisory and Consulting Enterprise signed tri-party MoU of cooperation with Baoding City Government and Hebei Information Investment Group. Fortune Plus, China, signed MoU for setting up electric vehicle hub with Imperator Autocorp Pvt Ltd. Podar Holding International Pte Ltd signed MoU for cooperation in education with Yingcai University in Jinan, Shandong province. 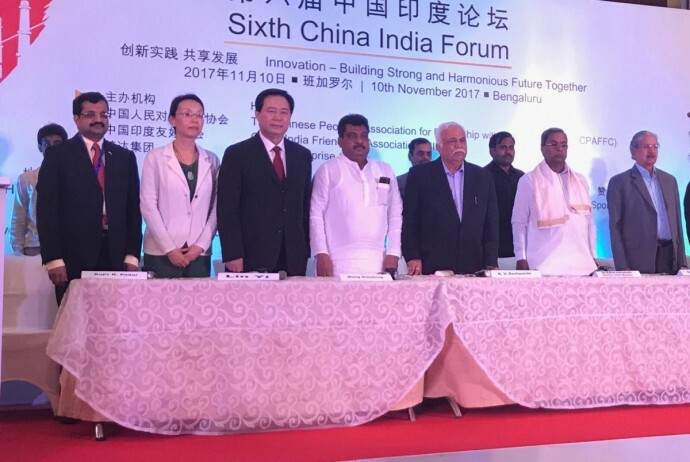 Chief Minister Siddaramaiah invited Chinese investors, saying the state is ready to receive them with open arms and promised the speedy implementation of projects. “India’s exports to China touched USD 8.86 billion, whereas China’s exports were USD 61.54 billion. I urge investors from China to invest in Karnataka,” he said at the inauguration of the 6th India-China Forum here. India-China bilateral trade also had reached USD 70.4 billion in 2015, he added. “We will do everything possible to enable seamless conduct of business, with total transparency and with the assurance that your projects will be speedily implemented,” he said. Karnataka government will continue to actively engage with China and explore all possible avenues to make them its valued partners in building of a strong and prosperous state, Siddaramaiah said. “It is just the beginning of identifying synergies in technologies which would strengthen and deepen the foundation of a Future-oriented Partnership between India and China and Karnataka and China, evolving business ties, particularly in defence, energy, infrastructure, agriculture and food processing, Information Technology and environment, to name a few,” he said. Siddaramaiah said Karnataka’s Industrial Policy for 2014-19 was manufacturing centric with a vision is to make the state an innovative and hi-tech manufacturing hub of India. He said India and China’s relations had undergone an evolution in recent years developing along a positive track, into a friendly partnership. “It has made great strides in recent years and has become truly multi-dimensional, spurred by a significant convergence of interests, mutual goodwill and high-level exchanges,” he added. Karnataka and Sichuan are both G8x8 territories. The former is ranking fourth in GDP among Indian states, placing it at the 7×4 position. Sichuan ranks sixth among Chinese provinces to take the 2×6 field on the board. In 2016, Karnataka took a share of 7.4% of the India total GDP. Sichuan posted a GDP share of 4.2 percent of the China national total. Toscana Promozione Turistica is a regional government agency responsible for promoting tourism. ATTA is the global leader in responsible adventure tourism development. The two agencies now established a two-year agreement to help Toscana enhance its tourism brand. They want to help trade and consumers to discover a deeper, adventurous side of the region. One activity of collaboration in 2017 is to introduce “AdventureWeek-Tuscany” in September 2017. AdventureWeek is a specialized trade program designed to bring “A-list” international outbound tour operators, agents and travel journalists to Toscana. They will participate in an intensive familiarization journey to experience cultural and nature-based adventures. Additionally, marketplace activities will be held in the region to connect visiting buyers, agents and journalists with local suppliers. Combining activities such as paragliding, road and mountain biking, white water sports, scuba and climbing with a rich array of cultural experiences make for powerful offerings for adventure tourism in Toscana. Alberto Peruzzini, head of Toscana Promozione Turistica, explained that Toscana is the first Italian region to become an active member of ATTA. Also the first to develop such an initiative with the global adventure tourism trade. He said, “This is a strategic choice of ours. We will be involved with leaders of the sector of tourism most focused on responsible growth. In the field of Adventure tourism, we are not well known yet. But we have considerable room for growth, especially in rural communities throughout Toscana. We’ll work together for just the right positioning on the international stage”. “At ATTA, our interests are in supporting communities worldwide to deliver travel experiences that protect natural and cultural capital and create shared economic value” said Chris Doyle, ATTA Executive Director-Europe. “For Tuscany, they have the chance to focus visitor attention on its exceptional adventure experiences. They will also help rural communities to realize the benefits of one of the fastest growing sectors of tourism”. In terms of GDP, Toscana ranks 6th among Italian regions, and takes field 8×6 on the G8x8 chess board. With 110.4 billion € of goods and services produced in 2015, the region contributed 6.7 percent to the national GDP of Italy. 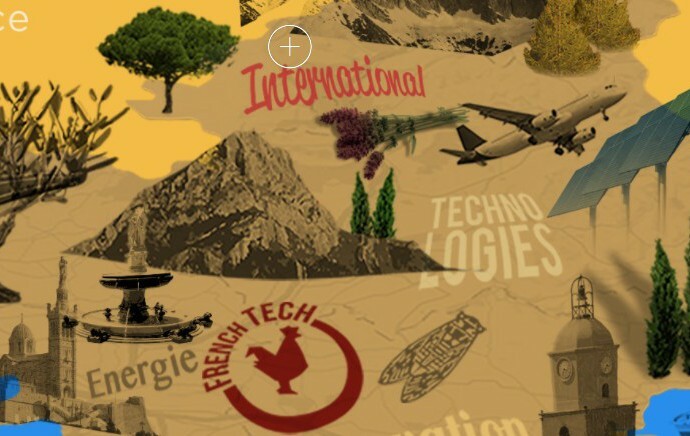 Since April 2014, the Regional Agency for Innovation and Internationalization of Companies Provence-Alpes-Cote d’Azur (ARII PACA) is the agency in charge of economic development, attractiveness and innovation in that French region. It provides assistance to facilitate the emergence, acceleration and deployment of structuring projects and high-potential business growth. The ARII website aims to enhance the range of services daily developed to meet regional challenges. The GDP of Provence-Alpes-Côte d’Azur ranks 6th among French top-level regions, to sit at the 6×6 spot of the global G8x8. In 2014, the GDP was 151.0 billion €, about 7.1 percent of the French total. Comparing the economic power of this French territory with whole countries, it would rank higher than Iraq, but lower than New Zealand. Frankfurt is the seat of the European Central Bank and the German Bundesbank. 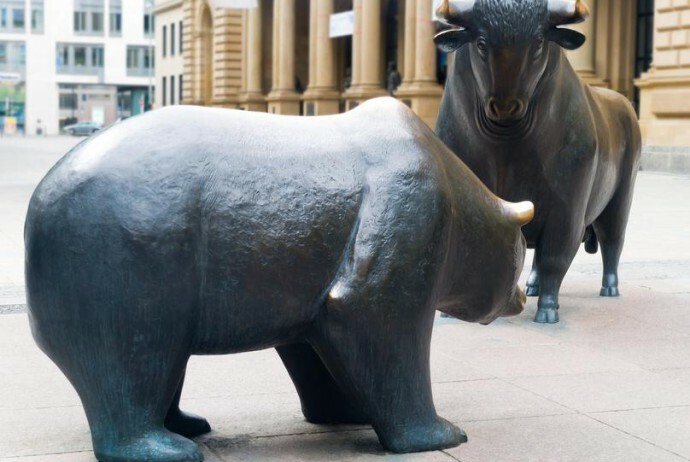 It is the location of a major stock exchange in Europe. Frankfurt is not the capital, but the largest city in the state of Hessen, which has distinguished itself as an attractive location for foreign direct investment. No other German territorial state receives as much foreign investment relative to the number of jobs. Hessen is one of Germany’s and Europe’s most attractive locations for international investors. The federal state has used Hessen’s central location in Germany to build a transportation infrastructure that is unparalleled in Europe. The Rhine-Main area in particular occupies a top position in Europe for its status as an international hub for air, road and rail traffic. For more information, try https://english.hessen.de/economy. Hessen ranks fourth in GDP among the German laender, and is positioned at the 4×4 slot within the G8x8. In 2016, it achieved a GDP of 269.4 billion € and a share of 8.6 percent of the German total. Its GDP was higher than that of Israel and Hong Kong, but slightly lower than that of Egypt. 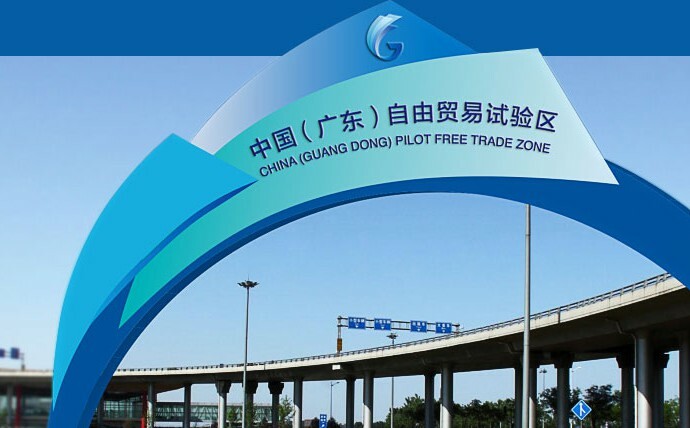 Guangdong ranks first in GDP among Chinese provinces and is placed at field 2×1 on the G8x8 chess board. In 2015, its GDP of 7,281.3 billion CNY contributed 10.1 percent to the national total of China. In international comparison, this is more than the GDP of Indonesia and a bit less than Mexico.